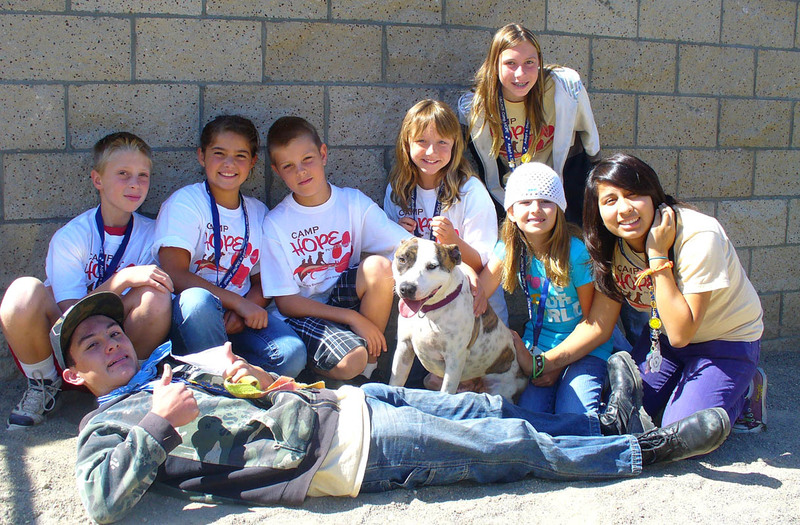 Our exciting CAMP HOPE Program is a week-long summer camp held Monday through Friday at the Santa Maria Animal Center. Youths aged 9-12 are invited to attend. Our summer camp introduces campers to a variety of hands-on learning modes to allow youth to explore career and volunteer opportunities, basic pet responsibility, important life skills and local animal issues. The cost of Camp HOPE is $200 per camper and includes all learning supplies. Campers will need to provide their own sack lunch daily: LUNCH WILL NOT be provided. Space is limited to 36 campers per camp session, and camp fills up very quickly. Advance registration is mandatory and on a first come-first serve basis once completed registration and payment is received. All refunds must be requested at least 30 days prior to the first day of camp for your session; after this time refunds will not be made. Program. The dress code, as detailed in the Camper Application, is in full force during Camp HOPE. What to wear at camp: comfortable long pants, closed toed shoes/sneakers, jacket or sweatshirt, sun screen. Not permitted at camp: open toed shoes, shorts or skirts, tank, spaghetti strap or strapless tops, low cut or crop tops, pants that do not stay up, and/or shirts with offensive language or graphics. 1) How will I know if I have been accepted? You will receive an acknowledgement e-mail if you have been accepted. Please write your e-mail address legibly. 2) Do I get to choose what team I am in? Each team consists of a Counselor, Junior Counselor and 6 campers. Although you do not get to choose your teammates, teams are usually organized by age groups. 3) When do I get to know who my counselor is? You will be introduced to your counselor and junior counselor (JC) on the first day of camp. 4) Will I get to work with animals? Each team will choose two dogs to adopt for the week. These dogs will not be going home with you, but you will be able to spend time each day to help socialize and train your new friends. 5) It is a long day, will I get bored? Each day is set up with an assortment of fast paced sessions. There will be various speakers and activities that change throughout the day. 6) Does the camp serve food? Each camper must bring a sack lunch with him or her daily. The camp will provide each camper with a healthy snack and water. 7) When is the Finale Ceremony and Awards Program? On the last day of camp, campers may invite their families to attend our Finale Ceremony and Awards Program, held from 1:30- 3:30 p.m. Campers will be awarded a special Completion Certificate, perform skits, share their special memories, and enjoy refreshments. 8) When do I get my Camp HOPE t-shirt? Each camper will receive a Camp HOPE T-shirt on the first day of camp. 9) What happens if I am late to pick up my child? Our camp staff are all volunteers, and they are here to make your child’s summer camp experience the best ever. The camp staff has agreed to work a specific amount of time and will not stay later for tardy parents. Because of this dedication and gift of their time, we MUST have parents pick-up their campers at the designated time. If a parent is late, the camper may be dismissed for the remainder of the camp, with no refund. 10) Is there financial assistance offered? Yes, there are up to five discounted scholarships that are awarded per camp session, for financial need. Please go to our website to obtain a form to send in with your application. 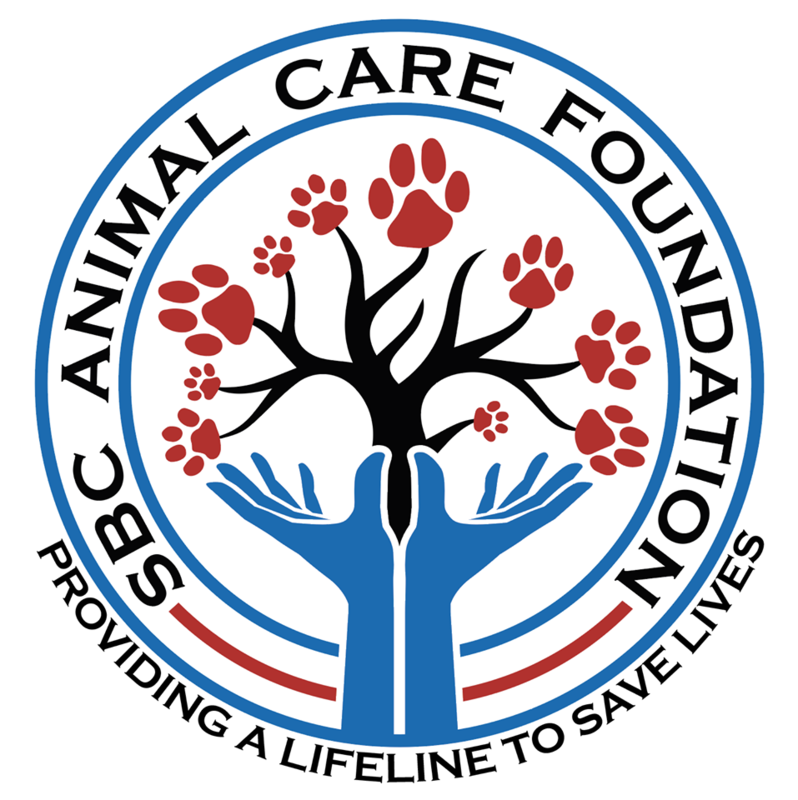 Directions for how to proceed are on the financial aid form available at www.sbcanimlacare.org. Items that are valuable or irreplaceable. Campers are discouraged from bringing items of expense or great personal value to camp. No animals are to be brought to camp. No inappropriate items are allowed; as stated in the code of conduct. Completed applications include the following; applications will be accepted until camp sessions are full, after which there will be a waiting list. Get ready for a great time and we’ll see you at camp! Registration: accepted until each camp session is full, and then a waiting list will be started. Camp HOPE will be held in the Education Center at the Santa Maria Animal Center located at 548 West Foster Road in Santa Maria form 9:00 a.m. to 3:00 p.m.
Has the child attended Camp HOPE in the past, if so when? What is your first choice for camp date? Please check if paying by check. Camp HOPE is planned, conducted, and supervised by the Santa Barbara County Animal Care Foundation, in cooperation with Santa Barbara County Animal Services. 1. Campers shall show respect for the property, material and facilities used and assume financial responsibility for any damages they cause. 3. Use and/or possession of drugs, alcohol, tobacco, firearms, knives, and other items deemed dangerous is strictly forbidden. Violation of this policy can result in immediate dismissal from camp and can include notification to the local authorities. 4. The dress code, as detailed in the Camper/Counselor Application, is in full force during Camp HOPE. Not permitted at camp: open toed shoes, shorts or skirts, tank, spaghetti strap or strapless tops, low cut or crop tops, pants that do not stay up, and/or shirts with offensive language or graphics. 5. No visitors to the Camp HOPE summer day camp without prior arrangements with the Camp Director. 6. All campers are to participate in all scheduled activities, except in cases of illness. 7. No destructive “games” or unsafe behavior is allowed. 8. Cellular phones must be turned off during camp. 9. No physical or emotional/mental disciplinary measures will be tolerated. 10. Obscene and disrespectful language, roughhousing, and insubordination will not be tolerated at any time. 11. All outgoing phone calls are by arrangement through the Camp Director. 1. FEES: Camp fees will be paid in advance and will not be refunded if my child stops attending camp or if he/she is dismissed. No refund will be issued after the date specified on the Camp Application form. 2. DISCIPLINE: The Camp HOPE adult staff has my permission to discipline my child (does not include physical contact). However, the Camp Staff shall have the right to physically restrain my child when, in their opinion, the child is a danger to himself or others, or if my child is dismissed from camp. I understand that the Camp HOPE Director reserves the right to dismiss my child if he or she, in the opinion of the Camp Director and Camp Staff, becomes a discipline problem or is disruptive to the Camp program. 3. MEDICAL COST AND INSURANCE: Neither the SBCACF, Camp Staff, nor the Camp Facility shall be liable for the cost of any medical treatment (Any accidents and/or injuries must be reported and recorded on site). 4. CAMPER’S PERSONAL PROPERTY: Neither the Camp Staff or the Camp Facility shall be responsible for the loss or damage to the personal property of counselors or junior counselors. 5. DAMAGE: I/We will be responsible for and pay for any damage done by my child, either alone or with others. 6. I understand that medications are to be turned over to the Camp Medical Staff and not kept by the camper while attending camp (unless prior arrangements have been authorized by the Camp Director and Camp Medical Staff). 7. NO ONE is to leave camp without permission of the Camp Director. Permission must be secured BEFORE leaving the Camp grounds. 8. IN CASE OF MEDICAL EMERGENCY: I understand that every effort will be made to contact parents or guardians of campers. In the event I cannot be reached, I hereby give permission to the physician selected by the Camp Director to hospitalize, secure proper treatment for, and to order injection, anesthesia, or surgery for my child. I also give permission for first-aid treatment of my child at Camp HOPE by designated personnel. a) Picking up my child within 1 hour of notification in the event he or she is ill or dismissed from camp. b) Providing proof of authorization (driver’s license, guardianship papers, etc.) to take custody of the child. c) Providing an emergency contact and phone number of someone who is responsible for your teen. d) Providing immediate transportation home, if my child breaks one of these rules and is asked to leave the camp. By placement of the signatures below, we are confirming that we have read the above information and we are in agreement with the camp policies & Procedures & Code of Conduct requirements. In the event that you cannot pick-up your child from Camp HOPE, this Release Form will provide the names and contact telephone numbers of people that you have authorized to do so. Your child will only be released to the person(s) on this list, unless the Camp Director receives written or verbal permission from you prior to the release. I hereby certify that my child is in good health and can participate in the required activities associated with the Camp HOPE Program. Any X-ray examination, anesthetic, medical or surgical diagnosis or treatment, and hospital care which is deemed advisable by, and is to be rendered under the general or special supervision of any physician and/or surgeon licensed under the provisions of the Medical Practices Act, California Business and Professions Code section 2000 et seq. : or any X-ray examination, anesthetic, dental or surgical diagnosis or treatment, and hospital care to be rendered by a dentist licensed under the provisions of the Dental Practices Act, California Business and Professions Code section 1600 et seq. This authorization is given pursuant to the provisions of Section 25.8 of the Civil Code of California. This authorization shall remain effective until my child completes his/her activities in this program unless sooner revoked in writing. I understand that as a parent/legal guardian, I will be responsible for the cost of any service or treatment. I do not desire to sign this authorization and understand that this will prohibit my child from receiving any medical attention in the event of illness or accident. All the information below will be kept in strict confidence, only those staff required to be informed, will be provided with the appropriate information. This information is intended to ensure that your child, the other campers, and the staff have a good Camp HOPE experience. located at the Santa Maria Animal Center from 9:00 a.m. to 3:00 p.m. (unless stated otherwise). I understand and agree that the Santa Barbara County Animal Care Foundation may subsequently use for publication and/or promotional purpose any picture of my child related to Camp HOPE activities, without obligation or liability to me or my child. I have read the entry information provided and certify compliance with my signature, and agree to the terms of this waiver (if under 18, must be signed by a parent /guardian). 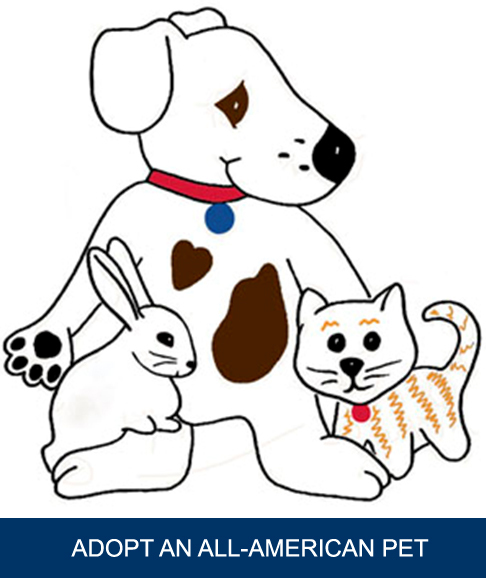 This waiver is required by Animal Services for campers to interact with the shelter animals during the week of camp. Campers are not qualified as shelter volunteers at the end of the week of camp. for damages to my child’s person or property while performing volunteer services for Santa Barbara County Animal Services. 2. I agree that I, or my assigned guardian, will accompany my child at all times while they are volunteering for Santa Barbara County Animal Services. 3. I recognize that in permitting my child to volunteer services for Santa Barbara County Animal Services there exists a risk of injury, including but not limited to, personal physical harm and injury or destruction to personal property which includes but is not limited to animal bites, slip and fall accidents, and other types of injuries, and personal property damage. I waive all rights and claims for damages I may have against Santa Barbara County Animal Services, its employees, officers, volunteers, agents, representatives, successors and assigns, and will hold them harmless for any and all injuries arising directly or indirectly from the handling of any animal from Santa Barbara County Animal Services. 4. I authorize Santa Barbara County Animal Services staff to seek appropriate emergency medical treatment in case of an accident, injury, or illness. I understand that every effort to contact me or an authorized emergency contact will be conducted by Santa Barbara County Animal Services staff if I am not present during the time my child is volunteering at the shelter. 5. I agree to abide by the policies and procedures presented to my child and me at the volunteer orientation and training meetings. 6. If, to my knowledge, communication problems develop between the employees or other volunteers and my child, I will report these to the Volunteer Coordinator as soon as possible. 7. I will emphasize to my child that Santa Barbara County Animal Services’ records are to be kept strictly confidential and will not be revealed to anyone. In signing this form, I acknowledge I have read, fully understand, and agree to the aforementioned items. I assert that my child is aware of the above requirements and also agrees to act within the Volunteer program policy and procedures.